Surprisingly nearly 50% of men will have difficulties growing a full beard. To those who have no issues with facial hair, this may not sound like a huge deal or even a blessing not having to battle with a razor everyday to keep the ‘five o’clock shadow’ at bay. However, for a lot of men who have issues with patchy or fine facial hair it can have a significant psychological effect, as facial hair on men is seen as a key sign of masculinity, maturity and virility. Therefore having a boyish face or uneven hair growth can alter the appearance, perception and sexual appeal of some men. Thankfully there is now a permanent solution for gentlemen who have been longing to grow bushy sideburns, a full beard or even just sport some designer stubble – beard transplants. The procedure is fairly quick and painless and after around 3 months new hair will grow where there was no hair before, leaving you with endless options when it comes to styling the latest trends in facial hair for the future. Here are just five styles that are entirely possible post beard transplant. One of the biggest trends in facial hair that has been around for a few years now and seems set to continue is the full beard. You don’t have to look far to find guys sporting full beards in varying lengths and different hairstyles. With a beard transplant you can jump on the bandwagon and be stroking your beard thoughtfully all day long – but remember even bushy beards need a little taming and grooming to keep them looking great. Growing a beard doesn’t always have to be about making it as full and long as possible though, and the business beard is a great middle ground for guys who want to maximise their ability to grow a beard, but still retain a smart and well-groomed appearance. 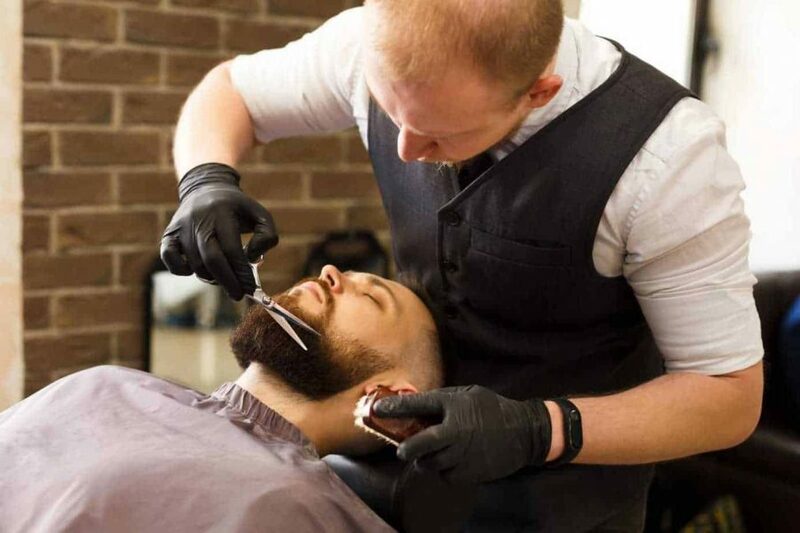 It offers full facial hair coverage, but is kept short to make it look more professional. Of course, not everyone will want to grow a full beard, but with the ability to grow facial hair on all areas of your face, you can now achieve desirable designer stubble without having fine hair, fluffy tufts or bare patches ruining your look. If you want your stubble or short beard to look a little more deliberate and groomed, then you also have the option to experiment with a razor and find a goatee, moustache or a combination of the two that meets your requirements. But if you are braving a styled beard, make sure you keep the lines nice and clean and symmetrical. Moustaches have made a comeback in recent years, not least because of ‘Movember‘ that raises awareness of Prostate Cancer. However, beyond Movember, more and more men are styling their faces with moustaches in all shapes and sizes. Whether you go for a retro Trucker style, bushy rock star or a slimline artist style with a beard transplant you have limitless scope. At the Wimpole Clinic, we offer a number of hair transplant options that include beard transplants, which can help patients to regain confidence and achieve the hairstyles they’ve always dreamed of.